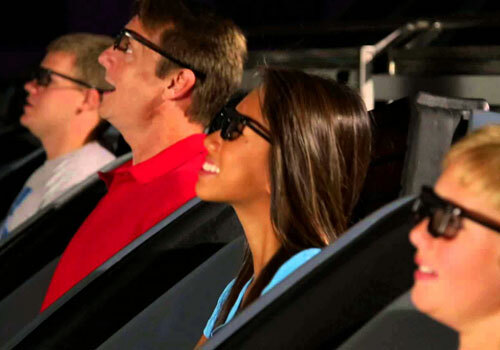 Located on Ocean Boulevard in Myrtle Beach, South Carolina, Ripley’s 5- one-of-a-kind attraction offers an interactive 5-D moving theater experience for guests of many ages. The Snow Ride and Roadhoggers adventures feature moving seats, high-quality digital surround sound and a state-of-the-art theater that appeal to many senses, offering the complete illusion of actually being inside the movies. Hours of Operation are Sunday - Thursday from 11:30pm- 5:00pm, Friday and Saturday from 11:30- 7:00pm. Two new movies: Happy Feet Mumble's Wild Ride and Monkey Madness. Experience 5D Done Right! Experience the virtual reality simulator where you actually ride with the movie and experience every bump, dip and turn. The only place in Myrtle Beach with REAL SNOW!! Come cool down with Ripley's!! Cutting edge technology and incredible six channel digital surround sound make it the most exciting movie there is. Two new action-packed films with continuous showings. State-of-the-Art Motion Simulator. Large Format 70 MM film. Seats move in 8 directions. Full sized theater. Must be 43” to ride in moving seats. Non-moving seats are available for little ones with a parent. Is there a height requirement for the attraction? Yes. Guests must be at least 43" tall in order to ride in the moving seats. Is this attraction ideal for children? Yes. All children must meet the height requirements in order to ride. 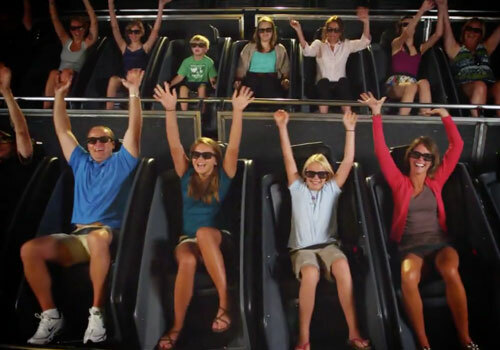 The attraction uses moving seats, 3D sights, sounds, and additional effects. Ripley’s Moving Theater is located at 915 North Ocean Boulevard, Myrtle Beach, SC 29577.